A recipient of the prestigious Kahili Award from the Hawai`i Tourism Authority in 2005, Celebration of the Arts is Hawai`i�s premiere hands-on arts and cultural festival. Kama`aina (local residents) and malihini (visitors) are invited to experience the �Hawaiian heart and soul� through interaction with artists, cultural practitioners, workshops, films, food and music. The Ritz-Carlton, Kapalua overlooks one of the most significant sites to native Hawaiians, the Honokahua Preservation Site, and is a gathering place for Hawaii�s well-known and best loved artists, educators, cultural art masters and healers. Maui visitors blend with island kupuna (elders) and keiki (children) in a rich tapestry with a common thread to learn about Hawai`i�s past, present and future. Each event features a timely topic with emphasis on education, cultural awareness and sharing so that it can be perpetuated. For the children, Ke Kula Kamali`i (children�s learning center) offers a day of Hawaiian mana�o (thinking) and art inspired by nature. Keiki are taught the language of Hawai�i through counting, painting, crafts and outdoor activities. Hawaiian kumu (teachers) share the heart and soul of their native language and culture. The highlight of the weekend is the Celebration Pa`ina and Show on Saturday, April 3 at 6 p.m. in the Aloha Garden Ballroom. The entertainment filled evening will showcase a transition of music and dance in time with the talent of Master Chanter and Kumu Hula Charles Ka`upu and his kane kahiko (ancient men�s hula,) auwana (contemporary hula) from the women and children of Keoni Manuel, and the innovative vignettes of Hawaiian history presented by the creators and performers of the award-winning Ulalena. Ticket prices are $90 for adults and $45 for children ages 5 to 12, inclusive. Advance reservations are recommended as the event sells out in advance each year. A complimentary Easter Egg Hunt takes place on the expansive Plantation Lawn. The lavish Easter Sunday Brunch is held in The Terrace Restaurant. Prices are $75 for adults and $37.50 for children ages 5 to 12. Prices are exclusive of taxes and gratuity. Please call (808) 669-6200 for reservations. The 18th Annual Celebration of the Arts is sponsored by The Village Galleries, Hawaiian Airlines, Maui Visitors Bureau, MC&A, Kapalua Resort, Kapalua Villas and The Ritz-Carlton, Kapalua. For more information on Celebration of the Arts, please call Clifford Nae�ole at (808) 669-6200 or visit www.celebrationofthearts.org. The event hotline is available 24 hours a day at (808) 665-7296. The AAA Five-Diamond Ritz-Carlton, Kapalua completed a $180 million transformation and features 463 guestrooms, including 107 one and two-bedroom Residential Suites; six restaurants; The Ritz-Carlton Spa; and Jean-Michel Cousteau's Ambassadors of the Environment program with a variety of outdoor activities with trained naturalists. The Ritz-Carlton, Kapalua is located on 54 acres in the midst of the 23,000 acre Kapalua Resort, featuring two championship golf courses, award-winning restaurants, the new Kapalua Adventure Center and a historic pineapple plantation. For room reservations, please call 1-800-262-8440, The Ritz-Carlton, Kapalua at (808) 669-6200, a travel professional or visit The Ritz Carlton website at www.ritzcarlton.com. Kama`aina Celebration room rates are also available. The Santa Clarita Cowboy Festival Rides Again! On Saturday, April 24th and Sunday, April 25th the City of Santa Clarita�s 2010 Cowboy Festival will bring to life the sights (men in hats & chaps and ladies in corsets), sounds (Don Edwards, Cow Bop and the Quebe Sisters) and flavors (the best peach cobbler this side of the Mississippi) of the Old West at Melody Ranch Motion Picture Studio. Steeped in Western lore, the working movie Ranch was once owned by Gene Autry and served as the setting for countless western classics including "The Lone Ranger", "Wyatt Earp", "Gunsmoke" and "Hopalong Cassidy". Festival hours are 10:00am - 6:00pm, providing a full day of entertainment, history, and children's activities. Ticket prices are $20 for adults and $10 for children, a true value in today's economy. 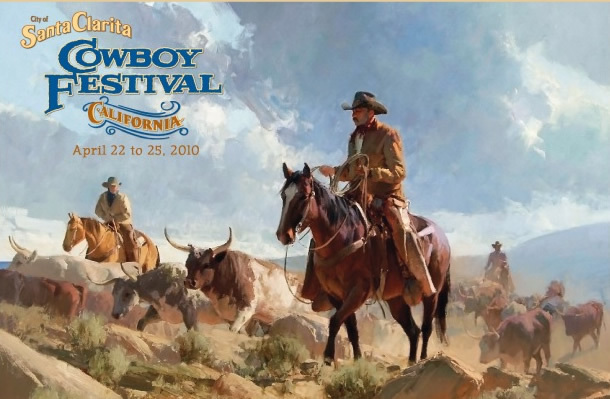 For additional information on the festival, including additional ancillary events, visit cowboyfestival.org. 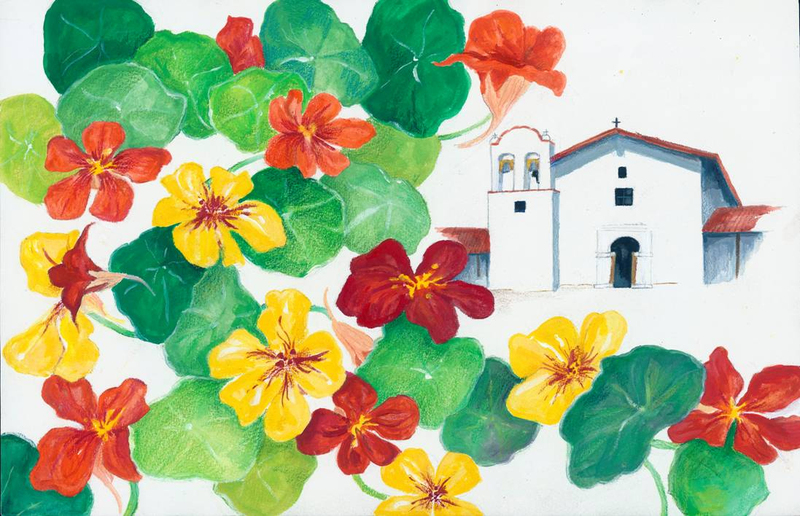 The Santa Barbara Trust for Historic Preservation at El Presidio de Santa B�rbara State Historic Park will host the Garden Club of Santa Barbara�s biennial flower show from 10:30 AM to 4:00 PM on April 22 and 23, 2010. The historic site, located at 123 East Canon Perdido Street, provides an ideal venue for this year�s theme, �SANTA BARBARA CELEBRATES,� inspired by the city�s rich history, art, landscape and culture. Admission is free. The floral designs and horticulture entries will be judged by certified Garden Club of America judges from throughout the United States. 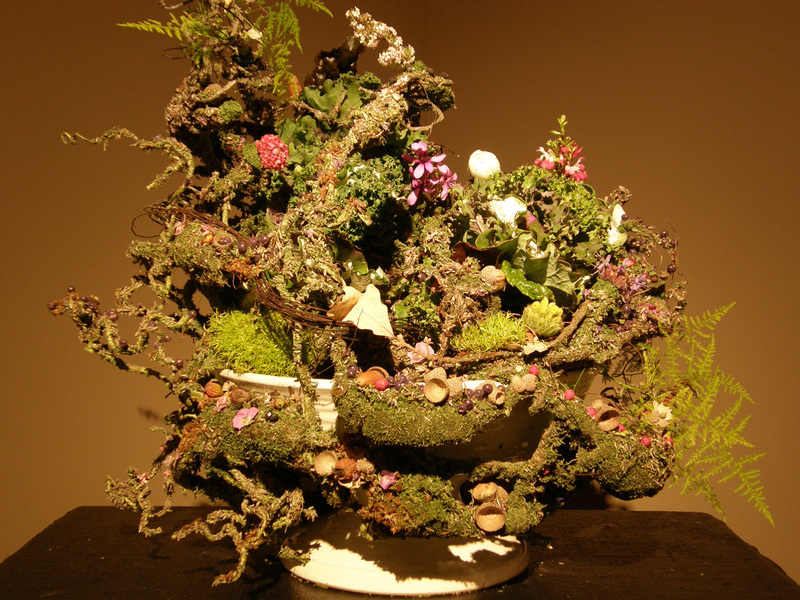 The show will include four divisions: Flower Arrangements, Horticulture, Photography, and Botanical Jewelry and Embellishments. Some of the highly anticipated entry challenges include underwater arrangements, floral interpretations of Fiesta, Summer Solstice parades, and a cascade bouquet for a wedding celebration to be exhibited in the Presidio Chapel. Other entries will feature plant material obtained from local Farmers Market�s and living walls, vertical arrangements of plants that naturally removes toxins and unhealthy contaminants from the air, innovative aspects of sustainable living and gardening. Photography will feature architecture of Santa Barbara, city celebrations, and Garden Club projects including the new fountain at the Santa Barbara Zoo and a school garden at Peabody Charter School. Special exhibits will offer information on native plants and the Santa Barbara Garden Club�s current restoration project at Gaviota State Park in collaboration with California State Parks. About the Santa Barbara Trust for Historic Preservation � The Santa Barbara Trust for Historic Preservation (SBTHP) works to protect, preserve, restore, reconstruct, and interpret historic sites in Santa Barbara County. Founded in 1963 by Dr. Pearl Chase and other concerned community leaders, SBTHP operates El Presidio de Santa B�rbara State Historic Park�Santa Barbara�s 18th century birthplace�under a unique agreement with California State Parks and recently purchased the neighboring building that housed Jimmy�s Oriental Gardens, providing an opportunity to interpret the history of Santa Barbara�s Asian American community in the Presidio Neighborhood. SBTHP owns and operates Casa de la Guerra, the 1820s home of Presidio Comandante Jos� de la Guerra and his family�the restored home is now a museum featuring original furnishings and rotating exhibits. Recently, SBTHP signed an agreement with State Parks to manage and develop the Santa In�s Mission Mills, located near the town of Solvang, as a future California State Park. With the help of continuing education programs and exhibits, SBTHP strives to encourage community involvement and foster an appreciation for Santa Barbara County�s distinct history. Learn more at www.sbthp.org. Warwick Fiji Resort & Spa (www.warwickfijihotel.com), a member of Warwick International Hotels, has been awarded AAA Tourism�s five-star rating. AAA Tourism is a private corporation set up in 1999 as the national tourism body of Australia's Auto Clubs. AAA Tourism provides tourism and travel products and services including guides that describe where to go, where to stay, how to get there and what to see and do. AAA Tourism also provides the unique STAR Rating Scheme for accommodation providers. The Warwick Fiji Resort & Spa is a truly tropical getaway located on Viti Levu and the famous Coral Coast of the Fiji Islands. The resort is a 250-room all-inclusive deluxe hotel found midway between Nadi International Airport and the Fiji Islands' capital city, Suva. It has long been one of Fiji�s top holiday destinations. �This is an honor well deserved after the extensive physical improvements that have been completed. I would like to thank all the staff for their hard work, and I am proud of having such a devoted team in this beautiful resort,� said Mr. Jamal Serhan, Regional General Manager and Vice President of Warwick International Hotels, who was also accorded the Special Citation award by the Fiji Excellence Tourism Awards for his significant contribution to the Tourism Industry. Among recent renovations are upgrades to the former Caf� Korolevu restaurant, now named Bula Brasserie, at a cost of more than half a million Fijian dollars. The Suva Wing Ocean View rooms and hallways have also been redesigned. The rooms feature new furniture and teak parquet tiles, soft lighting, elegant mahogany French doors and enlarged and re-decorated bathrooms with fine marble fixtures and raised ceilings. Hallway ceilings have also been raised, offering a more spacious and modern look complemented by stylish new lighting and carpet. The beach-front Warwick Fiji Resort & Spa is home to the famous restaurant and bar Wicked Walu, which received the Best Restaurant Award� at the 2009 AON Fiji Excellence in Tourism Awards, and the �Sunset Bar� which was voted one of the Top 10 best hotel bars in the Pacific area by HotelClub.com and Wayn.com. Additional first-class dining experiences are available to indulge in, including Japanese and Italian restaurants, along with a variety of bars and a nightclub. Warwick Fiji Resort & Spa also offers state of the art conference facilities, an indulgent beachfront Spa, a modern fitness gym created at a cost of $600,000 Fijian dollars, complimentary water activities and nightly entertainment to enjoy. The Kids' Club is open daily for kids between the ages of 3 and 11 years, with activities including crafts, fishing and meke, sandcastle building, crab hunting, seashell collecting, face painting, treasure hunting and much more. All of Italy is preparing for the public exhibition of the Holy Shroud, at Torino, Italy�s St. John the Baptist Cathedral this spring. The 2010 Holy Shroud Exhibition is an event of worldwide importance from a religious point of view and Pope Benedict XVI will visit the Shroud on May 2nd. According to tradition, the linen cloth that is stored in the Cathedral of Torino is the very same Shroud mentioned in the New Testament, used to wrap the body of Jesus Christ in the sepulcher after his Crucifixion. The Shroud arrived in Torino in 1578 upon request of the Savoy family. It has been preserved inside the Cathedral since 1589 and studied for years in order to better understand its origin and authenticity. This momentous exhibit will offer tourists a unique opportunity to make a pilgrimage to discover the sacred face of the city of Torino in the Piemonte (Piedmont) region of Italy. From its Baroque-style churches to the Royal Residences, from abbeys and monasteries to the Holy Mounts, Torino offers a rich religious and cultural setting. Throughout the duration of the Shroud�s exhibition, there will also be a series of themed events organized by the Exposition Committee. A calendar will be available online. The Holy Shroud on exhibit at St. John the Baptist Cathedral in Torino, Italy for the first time in 10 years. It is said that the Holy Shroud is the linen cloth mentioned in the Gospels, used to wrap the body of Jesus Christ in the sepulcher after his Crucifixion. From April 10th to May 23rd, 2010. Church hours are daily, from 7:00 am to 8:00 pm. Reservations are required: http://www.sindone.org/the_holy_shroud__english_/news_and_info/00024498_Online_reservation.html. tickets will be sent to you by e-mail or/and mail and in the case of delivery by ordinary mail, the booking should be made at least 15 days in advance of the visit. It is also possible to make a reservation directly at the "reservations area" of the Cathedral. St. John the Baptist Cathedral, located in Piazza San Giovanni (San Giovanni Square), Torino, Italy. Guests will find welcome desks and registration points to register visitors. Rentalo.com, a leading lodging and vacation rental web site, recently conducted a trend analysis on its database of 23,747 opted-in travelers searching for vacation rentals in Europe�s popular destinations Paris, London, Amsterdam, and Barcelona from July 2008 to January 2010. The lodging directory is sharing these insightful findings so that travel industry experts and analysts may better their understanding on consumer�s interests in comparison shopping, vacation planning dynamics, and vacation theme interests. The study below demonstrates the demand for travel portals like Rentalo.com that facilitates comparison shopping and vacation planning for trip planners. Sixty-one percent of the vacation planners showed interest in comparison shopping among Paris vacation rentals, bed breakfasts, motels, and hotels. 61 percent were also interested in receiving offers from vacation houses, condos, guesthouses, inns, and hotels near Paris including Ile De France, Bagnolet, St Ouen, Montrouge, Pantin, Vanves, Vincennes, Clichy, Levallois Perret, Charenton Le Pont, Issy Les Moulineaux, Neuilly Sur Seine, Boulogne Billancourt, Boulogne, Asnieres, and Bobigny. Thirty-six percent were early planners who started their Paris vacation planning 2 or more months in advance from the travel date, 31 percent of the inquiries were sent 1 to 2 months in advance, and 33 percent were from last minute travelers inquiring within the last 30 days prior to the arrival date. Paris�s most popular vacation theme is romance with 31 percent of the traveler�s inquiries requesting accommodations for 2, 14 percent for groups of more than 4 adults, 21 percent for families with children, and 19 percent for people traveling alone. Sixty-two percent of the vacation planners showed interest in comparison shopping among London vacation rentals, bed and breakfasts, flats, and hotels. 71 percent were also interested in receiving offers from vacation cabins, cottages, guesthouses, motels, flats and hotels in London vicinity including Edgware, and Oxted. Thirty-nine percent were from last minute travelers inquiring within the last 30 days prior to the arrival date, 36 percent were early planners who started their London vacation planning 2 or more months in advance from the travel date, and 17 percent of the inquiries were sent 1 to 2 months in advance. London�s most popular vacation theme is romance with 25 percent of the traveler�s inquiries requesting accommodations for 2, 21 percent for families with children, 18 percent for groups of more than 4 adults, and 18 percent for people traveling alone. Seventy-eight percent of the vacation planners showed interest in comparison shopping among Amsterdam vacation rentals, bed and breakfasts, flats, and hotels. 55 percent were also interested in receiving offers from vacation homes, inns, resorts, and hotels in Amsterdam vicinity including Zaandam, Hoofddorp, Purmerend, Naarden, Bussum, Almere, Huizen, Hilversum, Loosdrecht, and Lisse. Thirty-nine percent were early planners who started their vacation planning 2 or more months in advance from the travel date, 21 percent of the inquiries were sent 1 to 2 months in advance, and 38 percent were from last minute travelers inquiring within the last 30 days prior to their arrival in Amsterdam. Holland�s capital most popular vacation theme is romance with 36 percent of the traveler�s inquiries requesting accommodations for 2, 27 percent for groups of more than 4 adults, 17 percent for people traveling alone, and 7 percent for families with children. Seventy-five percent of the vacation planners showed interest in comparison shopping among Barcelona vacation rentals, b&bs, inns, and small hostales. 40 percent were also interested in receiving offers from other accommodations such as vacation cabins, inns, and boutique hotels near Barcelona such as Cerdanyola Del Valles, L Hospitalet De Llobregat, and Calella. Fifty-two percent were early planners who started their Florence vacation planning 2 or more months in advance from the travel date, 23 percent of the inquiries were sent 1 to 2 months in advance, and 24 percent were from last minute travelers inquiring within the last 30 days prior to the arrival date. Barcelona�s most popular vacation theme is family with 28 percent of the traveler�s inquiries requesting accommodations for groups of more than 4 adults, 26 percent for couples, 25 percent for families with children, and 8 percent for people traveling alone. The lodging directory has helped over 400,000 travelers find the best values in vacation rentals, hotels, and bed and breakfasts since July of 2008. Additional trends and analysis data is available from Rentalo.com on its opted-in database of close to one million travelers and vacation rental listing owners in close to 15,000 vacation destinations worldwide. As a result of the failed in-flight terrorist attack on December 25th, the TSA recently announced that there will be increased screening for "passengers on U.S. bound international flights". In addition, the Canadian Air Transport Security Authority has implemented a one carry-on bag rule for passengers traveling to the U.S., and many international carriers have followed suit. Whether you're an occasional traveler or frequent flier, the prospect of passing through airport security can be daunting, and those traveling internationally to the US should plan for longer delays due to increased searches. While you cannot make the security line any shorter, there is much you can do to make the process easier. Pack in easily inspected modules - mesh cubes, mesh pockets and packing folders - that can be lifted out individually for inspection. Follow 3-1-1 rules when carrying liquids, gels and aerosols on board: use travel-size containers of 3 oz or less that fit easily in 1 quart-size, clear plastic zip-top bag. Plan to arrive at the airport well in advance of scheduled flight departure times. Have your ID and boarding pass ready as you approach the checkpoint. Place coins, keys and other metal objects in your carry-on bag or jacket. Wear loafers or other shoes that are easily slipped on and off during screening. Remember, passports are required for all persons traveling outside of the United States. Increased carry-on restrictions need not decrease in-flight comfort. Here's how to pack all your en route essentials. Wear your carry-on. A multi-pocket vest or jacket is perfect for stowing electronics, book, pillow, water bottle and more. Carry a Slimline In-Flight Organizer for electronics, glasses, reading material, snacks, etc. Roll a carry-on tote for overnight or business trips. Continuing its mission to expand its collection of high profile, luxury properties, YTL Hotels announced today its acquisition of several operating assets plus 462-hectares in Niseko Village including the lease of an additional 155-hectare ski mountain in Hokkaido, Japan. 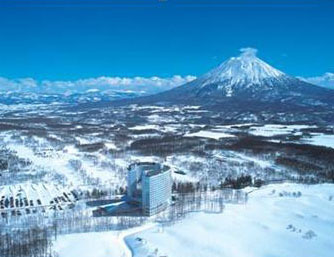 A prime winter and summer destination resort, the purchase includes the 506-room Hilton Niseko Village, the 200-room Green Leaf Hotel, two 18-hole championship golf courses - one of which was designed by Arnold Palmer, a 23-court tennis complex, the Niseko Village Ski Resort and ski school, and an equestrian center. Set at the foot of Mt. Niseko Annupur, the resort is the perfect base for skiers and snowboarders to access the mountain's powdery slopes, regarded as some of the finest alpine terrain in the world. In all seasons, rigorous activity is often followed in the evening by a soak in one of the resort's several natural onsen hot springs and a traditional Japanese massage. According to James W. McBride, President of YTL Hotels and Properties, the company's master plan for the resort is to create a sophisticated village atmosphere teemed with private houses, ski in ski out estates, onsen spas and a retail and restaurant center inspired by chic destinations like Vail in Colorado, Whistler in British Columbia, and St Moritz - the sister city of Niseko. 'Along with the development of the MUSE Hotel De Luxe in the French resort town of Saint-Tropez, both these resorts will be highly complementary assets to YTL's growing, international portfolio' says McBride. To enhance the extraordinary summer season in Niseko, the company is already formulating plans for it to have an appeal beyond just the powder and greens crowd. 'We want to launch an International Food Festival that will attract chefs and gourmands from around the world, with the Pacific Ocean only 30 minutes away, offering some of the world's best seafood and given Hokkaido's reputation for being the bread basket of Japan' says Sarah Cairns, YTL's Executive Vice President for Marketing and Communications. In addition to the Hilton Niseko and the MUSE Hotel De Luxe in Saint-Tropez, YTL has expanded significantly in the last year - truly bringing to life its vision of creating treasured places and treasured moments with the addition of the Swatch Art Peace Hotel in Shanghai, China; The Chedi in Phuket, Thailand; and both Pulau Gaya and Pulau Tiga in Borneo. The former is a deluxe rainforest family resort near Mount Kinabalu, while Pulau Tiga is about 48 miles down south. Opening in 2011, both are great destinations for adventure, nature and water enthusiasts. YTL Hotels is the hospitality arm of YTL Corporation Berhad. The Company owns and manages a prestigious award winning collection of individually unique resorts, hotels and spas including the world's no. 1 resort, Pangkor Laut. With their global expansion in 2010 in Saint-Tropez, Shanghai and Borneo, YTL brings a natural essence of culture, character and tradition to each destination embracing different luxurious experiences.